There are certain breeds of dogs that have a bad stigma that they just can’t shake. This can result in discrimination and hardship for these breeds, and leaves many of these dogs sitting unwanted in shelters and more likely to be euthanized. For the most part, these breed stigmas are unwarranted, however, and we at VitusVet.com want to take this opportunity to salute and celebrate the underdogs of dog breeds. If you peruse the media, it isn’t hard to find some mention of the dreaded pit bull in connection with attacks, dog bites, and even deaths. It is no wonder that many fear these often lovely dogs. They are the subject of breed bans, breed specific laws, and heavy discrimination. So what have these loveable canines done to earn such a bad rap? The pit bull as we know it actually is not a specific breed, but rather a group of breeds that include the American Pit Bull Terrier, the Staffordshire Terrier, and sometimes the Bulldog breeds. Historically, these breeds were bred to tame bulls, biting the nose of the animal to control it. Eventually this turned into a sport called bull-baiting. When this was outlawed, pit bulls became the stars of the dog fighting arenas. 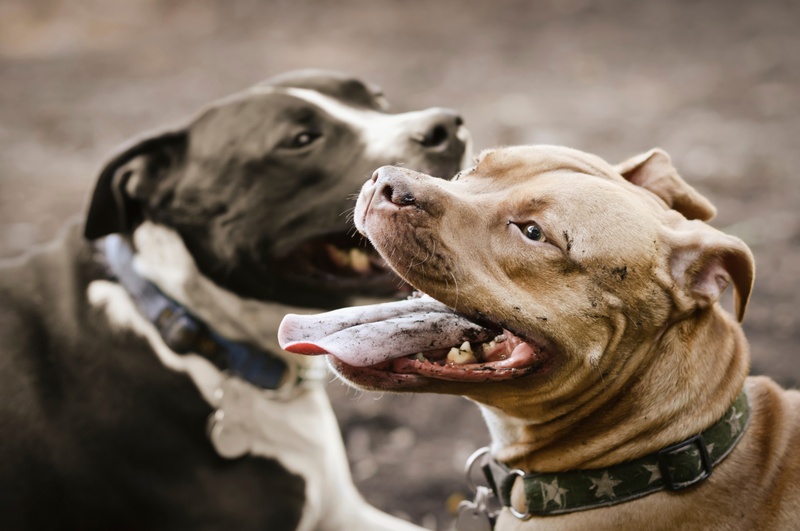 While dog fighting has been illegal in the United States for many years, the pit bull breeds have remained popular as intimidating guard dogs. Their popularity has led to much irresponsible ownership and poor breeding, resulting in an onslaught of dogs bred to be powerful with little direction. In this country, it seems that any dog that was bred to be a protector has a little bit of a bad reputation. The epitome of this discrimination is the Rottweiler. Originally, Rottweilers were used to help herd and control livestock and eventually became an all-around working dog. They pulled carts, carried personal belongings, guarded property and protected people. Today’s Rottweiler is no different--athletic and strong. Because of the Rottweiler’s confident and protective nature, many find them intimidating. Anyone who has gotten to love this breed, though, knows that they can be light-hearted and loveable. Doberman Pinschers, German Shepherd Dogs, and Mastiffs also fall prey to similar stereotypes by those who do not know them. Respected studies have shown that there is little to no relation between dog breed and a dog’s tendency to be aggressive. In fact, larger dog breeds tend to be slightly less aggressive than smaller breeds like Dachshunds, Chihuahuas and Terriers. When caring for any type of larger guard dog, responsible pet ownership is key. The owners of these dog breeds take on a greater responsibility to train and handle their pets responsibly. If we are to undo these undeserved stigmas that follow our pit bulls, Rottweilers, and other large dogs, we must show those who doubt these beautiful animals just how misjudged these animals have been.